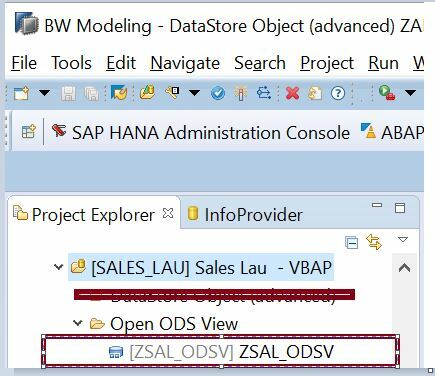 1) Create a Data source in BW on HANA. (Assuming you have appropriate data source (Here we are using Flat File). 2) Go to HANA Studio. 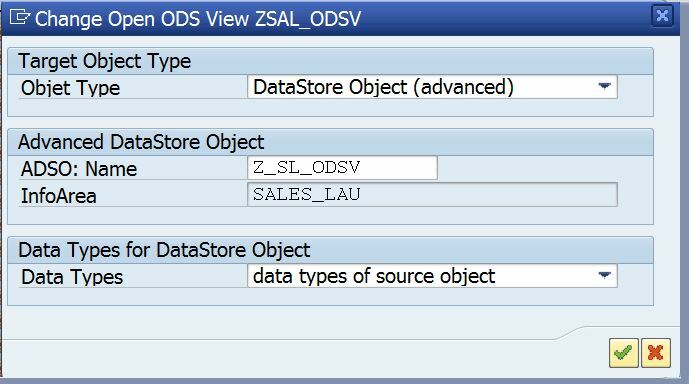 3) Create ODS view in HANA Studio. (i.e. 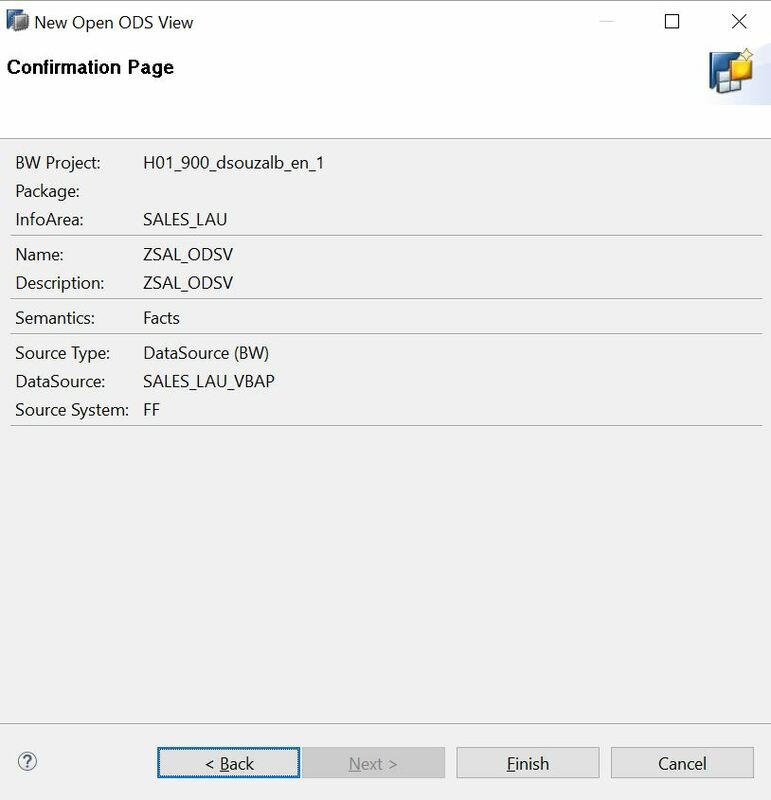 Same Info provider area name which you had created on BW on HANA as marked in the box. 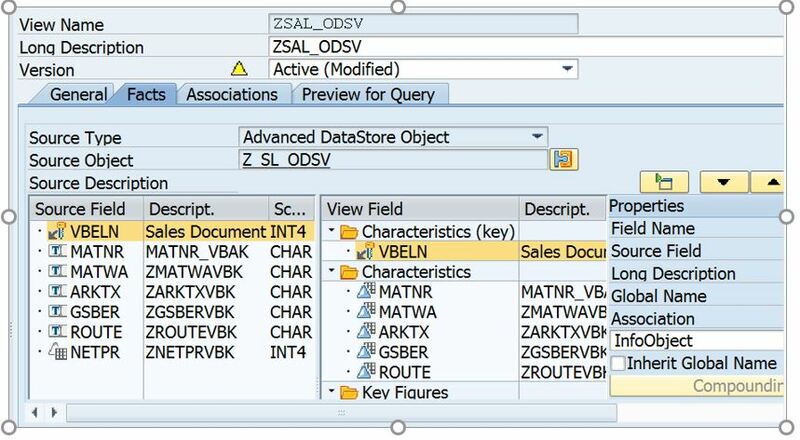 5)Provide the Data source name which you had created in BW as mentioned in point 1. 6) In Facts tab provide the detail of info objects which you have created in BW according to the data source. 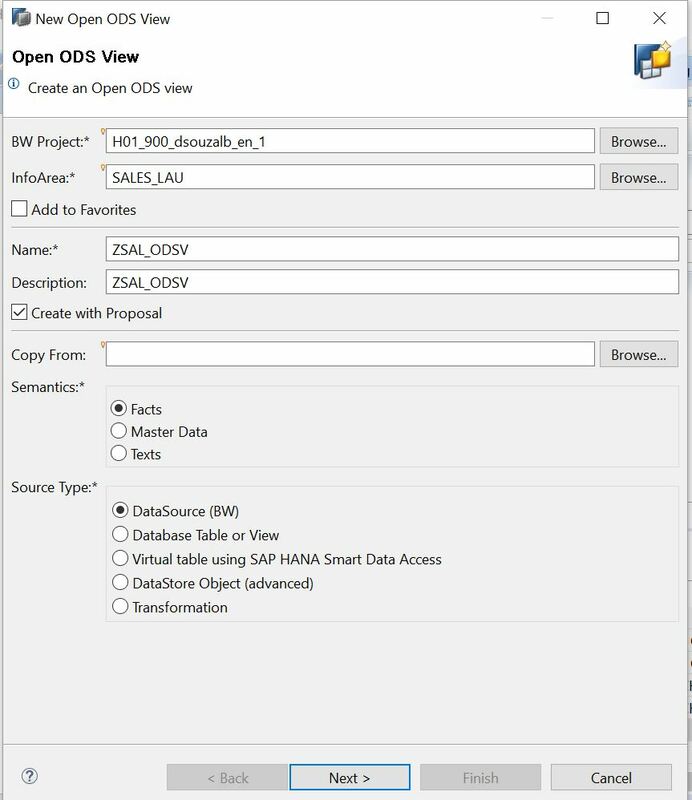 7) Activate the ODS view and you will find ODS View appearing in HANA. 8) Now go to BW Side. 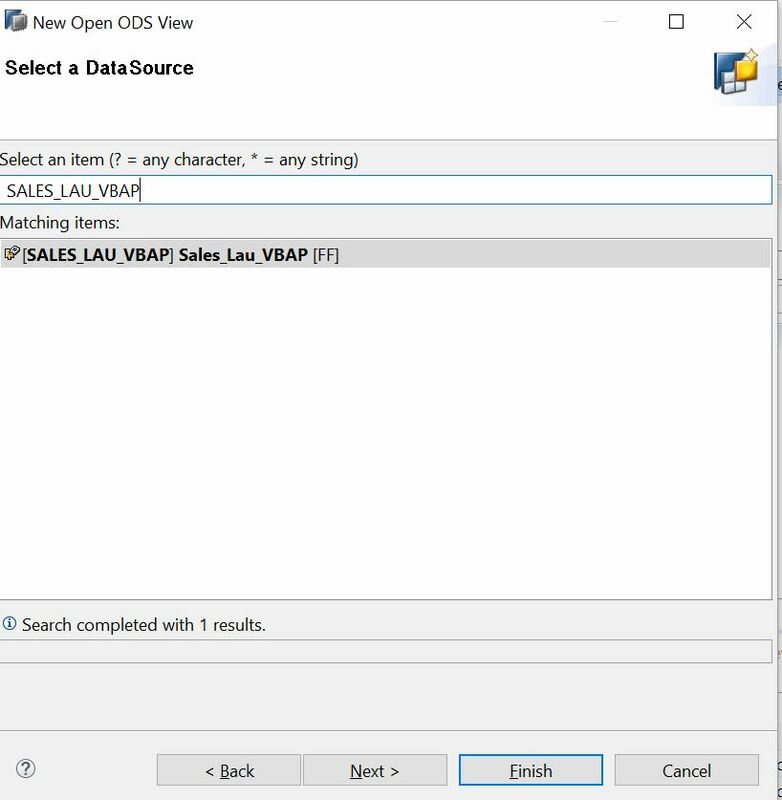 You will find the ODS view under the Data source. 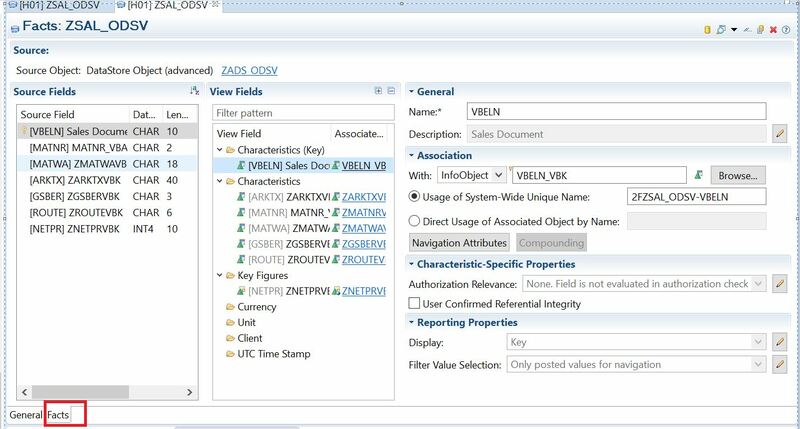 9) Edit the ODS view. Then you will find a circle (white and Red as marked) symbol will be available. Click on it. 10) By clicking the symbol, you will generate Data flow. Where we will generate a Physical Advance DSO for the logical ODS view which we have created. Provide appropriate ADSO name. 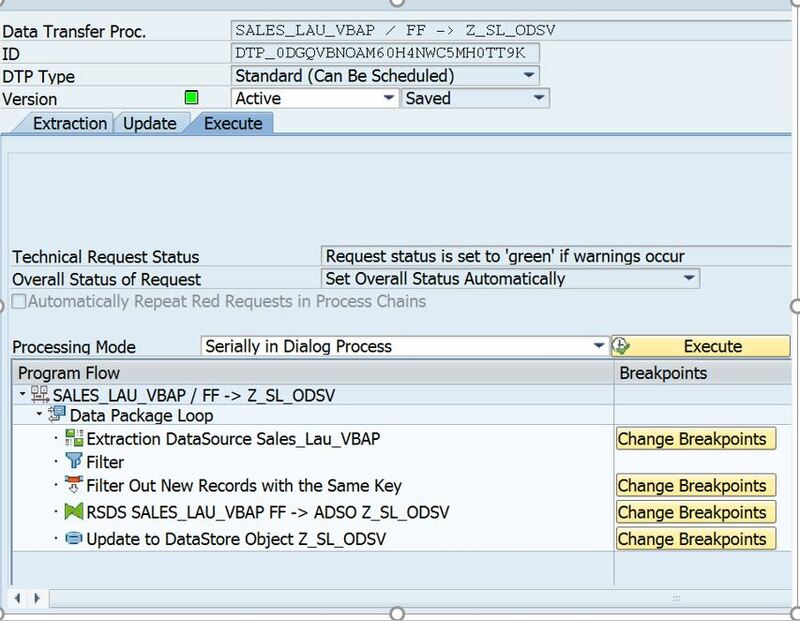 13) Go to the DTP and Execute it. 14) Now got o ADSO –> Manage. Select the whole row and click on activate. 15) This will fetch record to the ADSO. 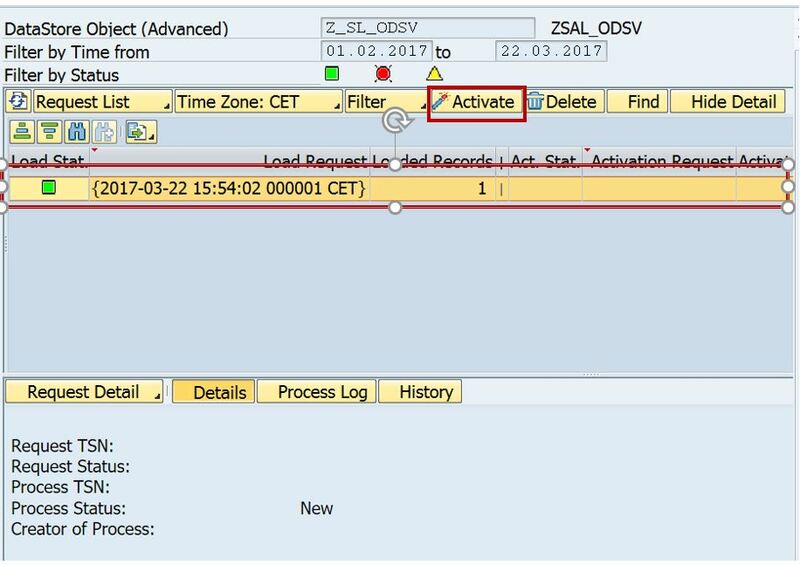 After data is loaded the symbol changes in load status as data loaded. 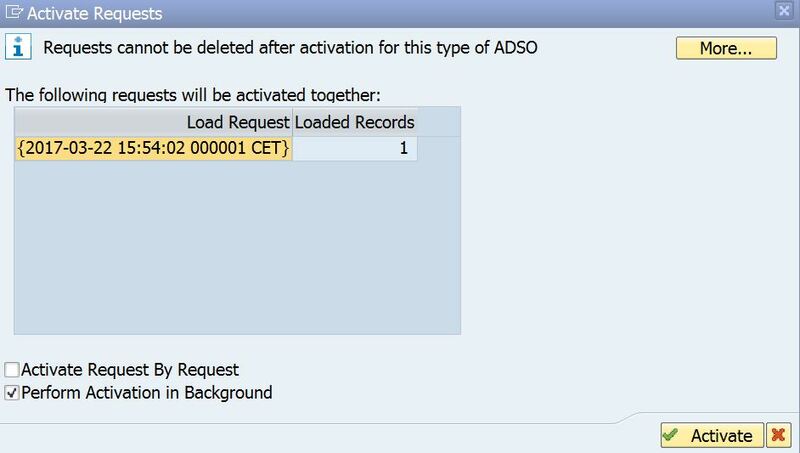 16) When you go to HANA side you will find ADSO is also generated. 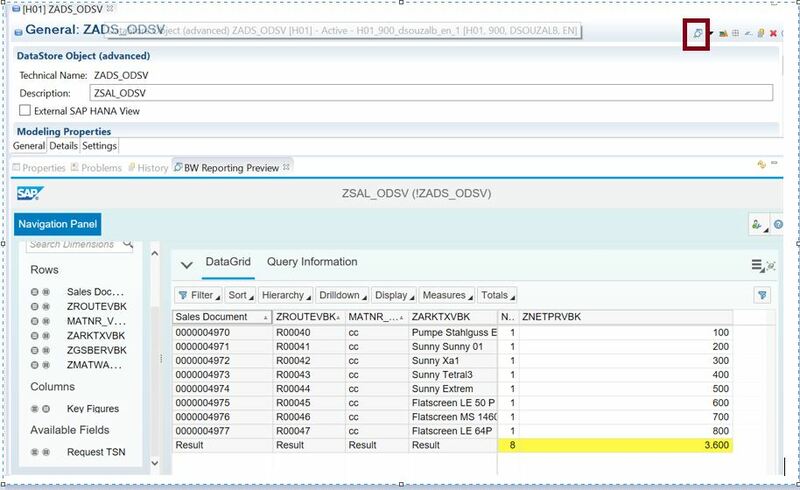 18) Data of ADSO can also be viewed in HANA.